As managing director of Twitter Australia, Karen Stocks is used to talking in 140 characters or less. I convinced her to say a little more. Here, she shares what it’s like to work for the social media juggernaut and how she found herself there. When Twitter Australia managing director Karen Stocks was at university the three companies she would go on to work for, Vodafone, Google and Twitter didn’t exist. “When I started with Vodafone who knew what Google was? How could I know I was going to be working there? Then when I was at Google, Twitter was in its infancy…it was like; what’s this Twitter thing? How is this going to fundamentally change the way we communicate? I had absolutely no idea,” the 45-year-old recalls. Karen’s entire career speaks of the value of embracing change: a skill which has helped her become one of the most influential women in media tech. It’s an ever-changing industry with no firm traditions or entrenched pecking orders. She’s passionate, high-energy and open to new ideas. Karen doesn’t think about the five-year plan – it’s flat-out absurd to even consider one in her world – but this mum of two teens knows what she’s about. A child of long Coffs Harbour summers, Karen fondly remembers growing up on the north coast of New South Wales. She went to the beach most days after school; it was barefoot rather than the latest designer kicks, hand-written notes as opposed to the latest device. Together with her (non-identical) twin sister Tracey and brother Colin she made her own fun. “Coffs was very casual and relaxed, I had great parents (and grandparents) who had the belief that we could do anything we set our minds to,” she says. Karen watched others pursue their career dreams in the big cities, it was something the entire community encouraged. “The support a small town community brings you is unparalleled, everybody is really supportive at Coffs. They say, ‘Oh my god we’re so proud of you running Twitter.’ It’s a nice feeling you get and it makes you want to do them proud as well. I can’t let the town down!” she jokes. This ‘being part of a team’ mentality was honed at just seven-years old, playing netball, a game she adores. She played every Saturday, in all the school teams right up until playing masters with her girlfriends in recent years. A standout moment in her life was being asked to be one of seven ambassadors of the Netball World Cup in August this year. “I wasn’t great but I’ve always loved team sport and it’s not getting the attention it deserves. So to me it’s how do I promote women’s netball in everything I do as well? These women are amazing athletes, you will not find a better sporting team in the world than the Australian Diamonds. They are lucky to get a column I mean to me it’s ridiculous,” Karen says. Stocks’ high school friends expected her to become a business woman. She studied a Bachelor of Finance at the University of New England and a CPA. But accountancy wasn’t the path for this customer loving, technology fan, who supported herself through uni working at KFC. “I was more about systems integrations and the technology that supports it. I kind of took that journey through technology and strategy in companies like Google and Twitter. It’s been a natural evolution for me to follow the tech path,” recalls Karen. In the years that followed she met her future husband Danny Stocks. At the time she was the first female treasurer of the Coffs Harbour Surf Life Saving Club (course she was!) while he was rowing surf boats. They fell in love. They made it official when she was 24; he was 28. These days Danny (a small business owner) is the primary care taker for their two children Louisa and Lachlan. “I’ve got a 16- year old daughter – god help me – and a 14- year old son, who are both taller than me…I’m a midget mum now. We’ve been tag teaming around the main working parent and the other one for about fifteen years now. It works beautifully,” she says. Passion is gospel for Karen. She believes taking advantage of new opportunities (even when she hasn’t necessarily had the experience) coupled with runs on the board to show she can deliver, as one of the drivers of her success. She’s often heard asking, “Hey why don’t you give me a shot at this?” A formula she doesn’t intend to change any time soon. “I’ll continue to do that, continue to learn, head into areas that make me slightly uncomfortable but know that I’m going to be learning and growing all the time. The best advice she’s ever received was from Russell Hewitt (CEO of Vodafone). He told her to “figure out what you stand for, make sure you stand for it and make sure everybody knows your standing for it.” It’s a philosophy she consciously brings into play; even though, changing internally is not an easy thing to do in a global company. “A lot of the time I need to stand up for what is it that the consumer, or the partner or the advertiser wants. In big companies you can get really internally focussed around, ‘ok, this is the way we do it’,” Karen admits. That being said, she also has to tame her personal fear of failure, something which can affect even the most confident of us. The Australian technology scene continues to be a space where women are still under-represented but Karen is proud of Twitter’s stance. Twitter Australia is less than two years old. 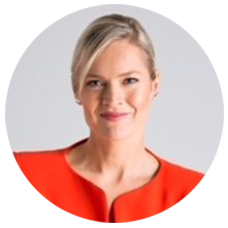 Karen is responsible for Australian operations, including the advertising business and performance and her goal is to make Twitter Australia the leading office for the company globally. So how does she navigate being the MD of a major social media company with her role as mum of two teens? “Oh god, it is challenging but we have limits like devices don’t go to bed. We have charging stations in the kitchen so they’re not sitting there providing a temptation for anyone to get up during the night and get on their devices. My husband and I monitor it, if behaviour is getting a bit borderline we actually remove devices from them. She also turns off her own phone an hour or so before she goes to bed and her bedroom is the couple’s sanctuary, a “no electronics” zone. But as far as this online exec is concerned the benefits of a connected world far outweigh the negatives. Before you go: I had the pleasure of penning this post for Business Chicks Latte magazine. 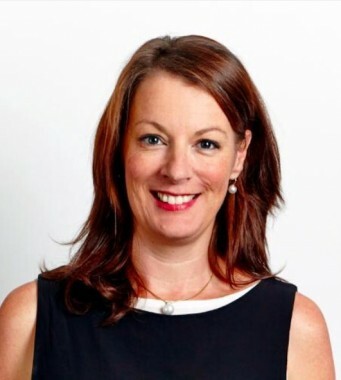 Editors note: Karen Stocks is no longer MD of Twitter Australia.